Jeff Helms offers South Georgia the highest quality of legal work found anywhere in the state. Mr. Helms specializes in representing those who have been victims of nursing home abuse or who have been injured in hospitals or car wrecks. Mr. Helms also specializes in work place injuries and representing individuals who have been victims of corporate fraud and deception. Mr. Helms actively tries cases before juries and judges in state and federal courts. 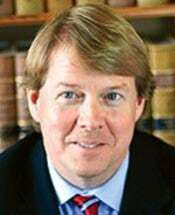 He has won numerous jury trials since beginning his career in 1986, including some of the largest jury verdicts for personal injuries and punitive damages in South Georgia. Mr. Helms and his firm are known for, and proud of, their reputation for hard work and professional dedication. At The Helms Law Firm, we are committed to helping people who have been injured by negligent drivers. We handle a wide range of motor vehicle accident claims. At the Helms Law Firm, we handle workers' compensation claims, third-party liability claims and product liability claims on behalf of injured workers. Product liability claims are highly complex and may involve complex scientific evidence regarding the design of a particular product. The Helms Law Firm has the necessary experience and resources to effectively handle these cases. If you or a loved one has been injured due to the negligence of a medical facility or medical professional, protect your rights by retaining an experienced medical malpractice attorney. We are committed to holding nursing homes responsible for injuries they have caused to patients as a result of their negligence and we handle a wide range of nursing home negligence and abuse claims.